There is a growing wave of Christian leaders who are rejecting Christianity and becoming some of its most ardent critics, often supported by a plethora of new organizations arising to encourage such people to cut ties to their faith. This is a new challenge from a different breed of critics who are using their instant credibility and insiders knowledge of theology, the Bible, church history, even apologetics, to debunk the faith they once believed and promoted. They have taken aim at the ... See More foundations of Christianity, including God, the Scriptures, miracles and the supernatural, and Christianitys perceived inherent prohibition on free enquiry. How do Christians answer these critics? Why did they stop believing and now reject Christianity? 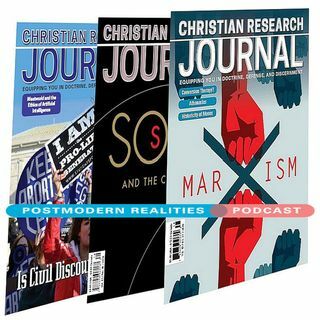 This Postmodern Realities episode is a conversation with JOURNAL author Paul Chamberlain about his Volume 41 4 feature article, Why People Stop Believing. To read his review, please subscribe to our JOURNAL. To read his book on which this article is based, please partner with CRI for the month of July 2018 and receive this book as a thank you for your gift.